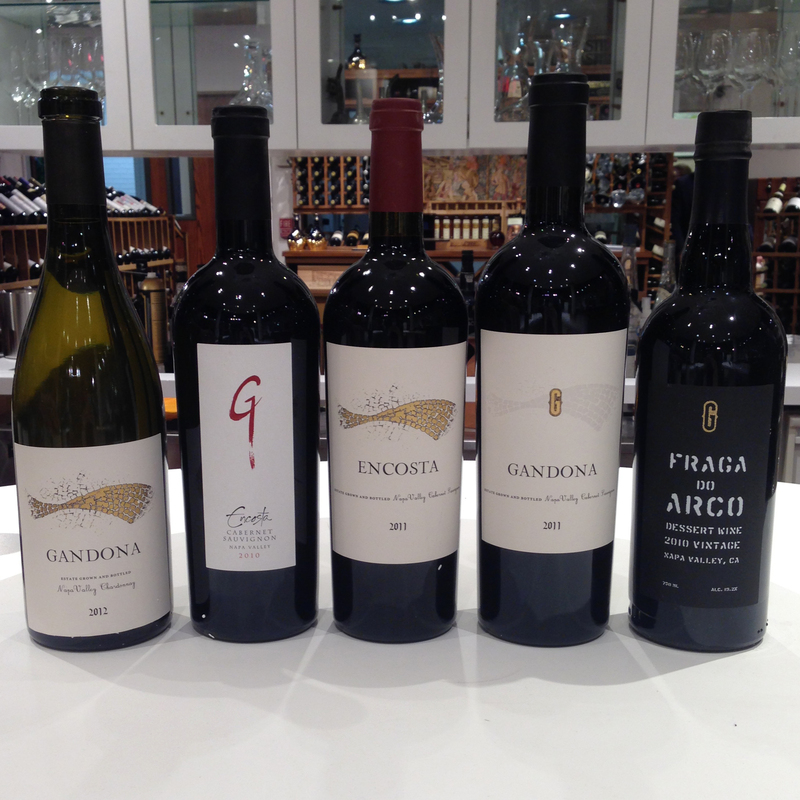 The Gandona Estate label evolved in 2011 to reflect owner Manuel Pires’ Portuguese background. The Portuguese pavement is a tradtional-style pavement used for many pedestrian areas in Portugal. It can also be found in the Gandona Estate tasting room in Napa Valley. Since Gandona does not produce bubbles, Knightsbridge started dinner on a high note pairing Krug with Feast & Imbibe’s delicious appetizers. After mingling over Krug and tasty bites, we sat down for the following dinner. Tangerine, amish bleu cheese, radish, shallot, cucumber, heirloom tomato, crispy tortilla strips and avocado dressing paired well with the flavor profile and the weight of this Chardonnay. Gandona does not currently produce enough Chardonnay to release to the market, but assuming production grows, this was a great indication of things to come! Black garlic demi, maitake and king trumpet mushrooms, pickled baby carrots, buttered garlic roasted potatoes paired with Gandona’s flagship Cabernet Sauvignons. 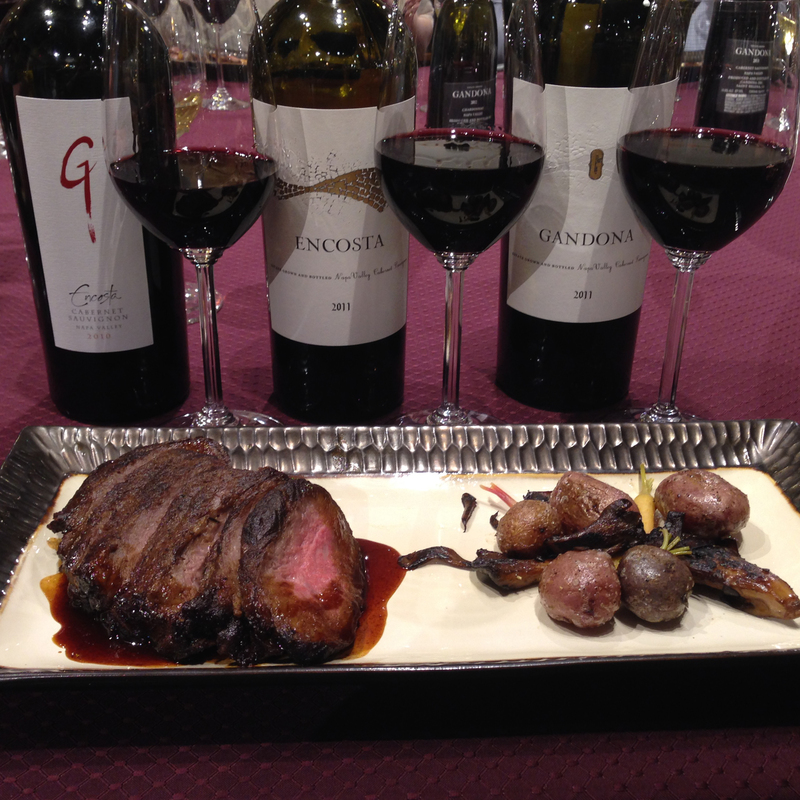 It’s hard to decide which wine paired best, as the 2011 Encosta‘s new(er) vine red fruit profile paired incredibly well with the meat and the 2011 Gandona Cabernet Sauvignon’s older(er) vine dark fruit profile paired well with the rib-eye with the black garlic demi. 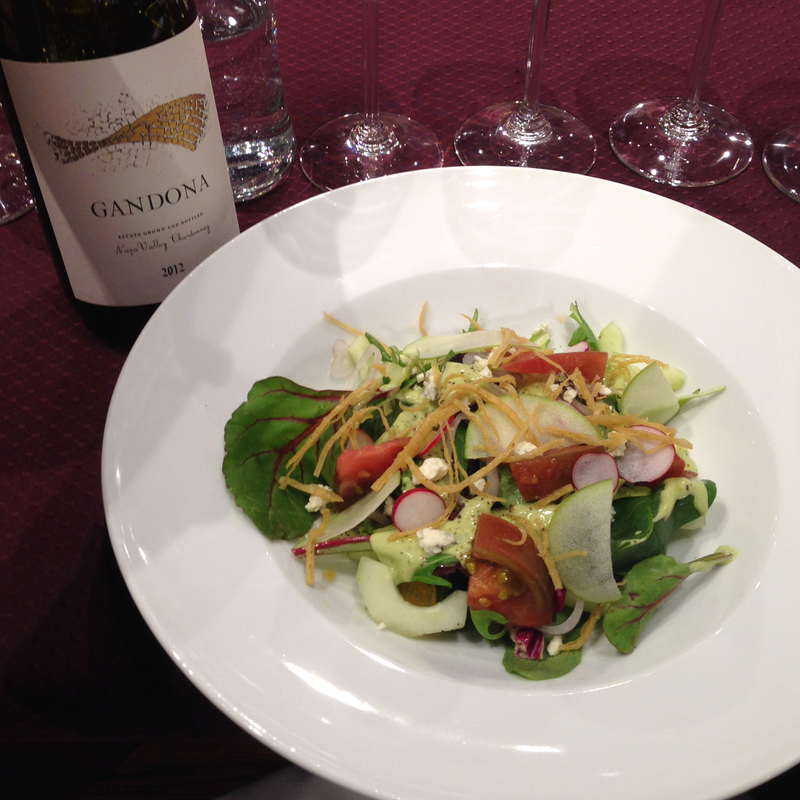 In the end, it appeared that diners preferred the 2011 Gandona Cabernet Sauvignon most with this mouth-watering dish. 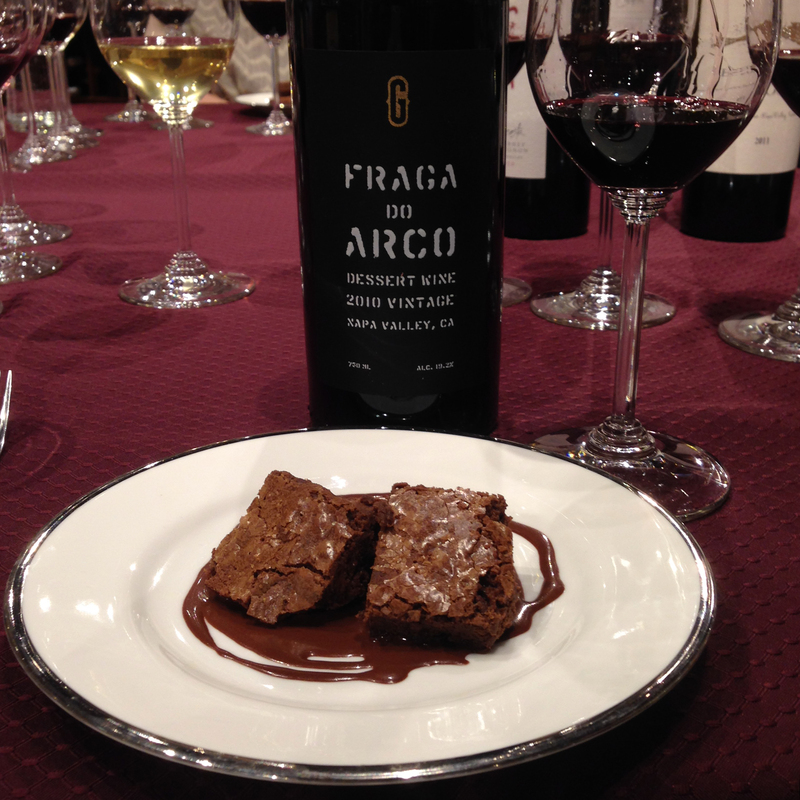 Dark chocolate ganache paired with a traditionally crafted port-style dessert wine that reflects the owner’s heritage, need we say more? 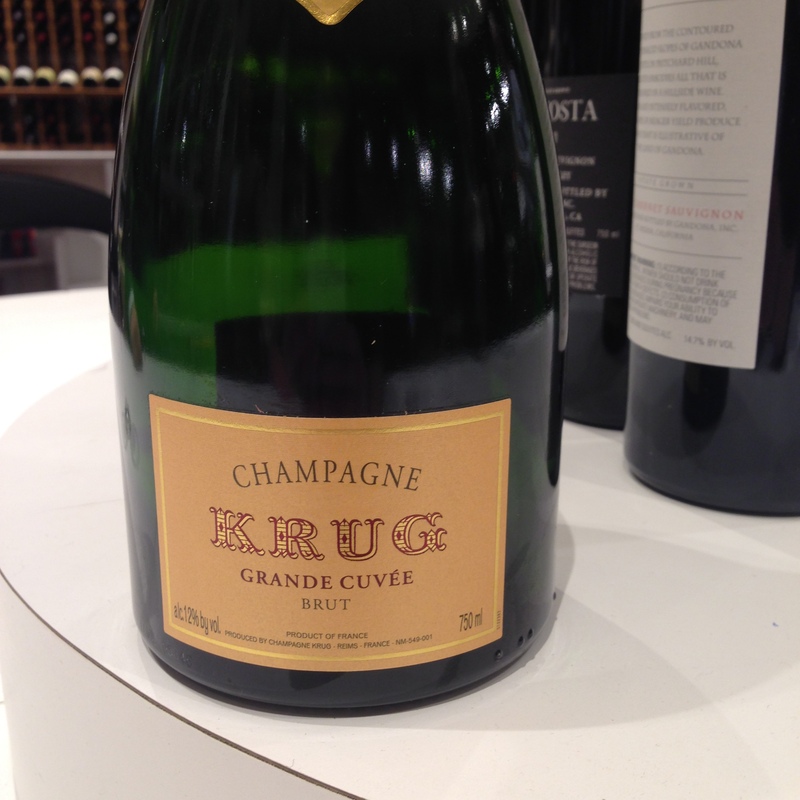 If you are interested in the wines in this post, be sure to visit Knightsbridge Wine Shoppe online at knightsbridgewine.com or in person at 824 Sunset Ridge Rd, Northbrook IL 60062.